Happiness doesn’t have to be something we plan for, schedule into our calendars, or spend money on. In fact paying attention to those little moments during each day, going on spontaneous outings with friends or family, or taking time to do a favorite activity may be all you need to feel happier every day! A little girl gazes into her mother’s eyes as she sits on her lap wrapped in a big, soft blanket. She thinks, “My heart fills with happiness when…I see the face of someone I love.” Waiting for the bannock to bake, a mother and her children huddle close around the oven surrounded by the delicious aroma that fills their hearts with joy. Singing brings its own lightness and pleasure as it fills one’s soul. Image copyright Julie Flett, 2016. Courtesy of Orca Books Publishing. Image copyright Julie Flett, 2016, text copyright Monique Gray Smith, 2016. Courtesy of Orca Books Publishing. Monique Gray Smith’s sweet book for little ones about the various types of happiness offers readers and listeners a moment to stop and share the connection that joy brings. Whether feelings of happiness come from outside influences or from deep within, Smith encourages readers to reflect on what really makes them happy. Such awareness can inspire future activities and improve your quality of life. Smith’s lyrical phrasing and choice of pleasures will delight little ones, who will recognize each as a bond of love. Julie Flett’s beautiful illustrations of indigenous families spending loving moments together are infused with warmth and strength. In her vignettes of the unhurried occasions that allow for profound happiness, children and adults sit together, hold hands, and wrap their arms around each other. Little ones also discover the individual joys found in a sunbeam, a blade of grass, or the abandon of dance. My Heart Fills With Happiness would be wonderful quiet book to add to a little one’s bookshelf to start a happy day or invite sweet dreams. Discover more about Monique Gray Smith, her writing, and speaking engagements on her website! View a gallery of books and illustration work by Julie Flett on her website! 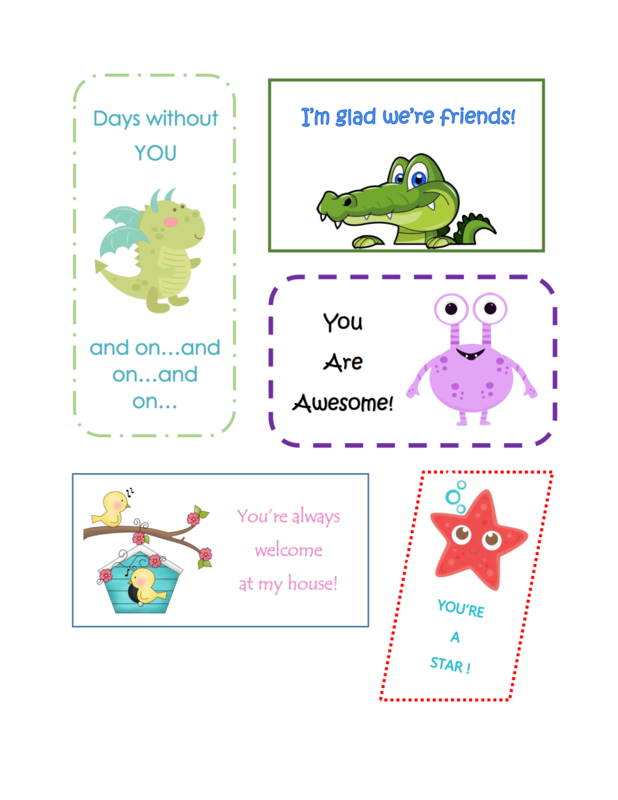 Happiness can happen anywhere, and you can help make someone’s day extra happy with these printable Happiness Cards. Just give them to a friend, someone in your family, or someone who looks as if they need a pick-me-up. It’ll make you feel happy too! Are you a RAKtivist? You know—a Random Acts of Kindness Activist! Sounds awesome, doesn’t it? It is! And all it takes to be a RAKtivist is to do nice things—kind things—for everyone and anyone. These things don’t have to be big, or hard, or expensive, either. In fact, the best kindness acts are free! If you see someone having a bad day, give them a smile. Is someone struggling with a box, a bag or keeping their stuff in their locker? Give them a hand. Does someone always eat lunch alone? Offer to sit with them and have a conversation. You’re also encouraged to give others a card to brighten their day. You’ll find some to print out at the end of this post! There are as many ways to be a RAKtivist as there are people on the planet. Right now, there are 17,009 registered RAKtivists from ages 14 to 89 in 87 countries! You can join them and learn more about this uplifting holiday on the Random Acts of Kindness Website! Sleeping Bear Press sent me a copy of May I Come In? to check out, and is partnering with me for a giveaway! Learn more below! Outside, the rain poured down, and “Raccoon shivered. When “thunder roared, Raccoon quivered.” And the flashes of lightening were just too scary to watch. Raccoon did not like being alone on such a stormy night, so he “grabbed his umbrella and hurried out the door.” Raccoon made his way through muddy Thistle Hollow to his old friend Possum’s tree-trunk den. Image copyright Jennie Pho, 2018, text copyright Marsha Diane Arnold, 2018. Courtesy of Sleeping Bear Press. There he found Possum nice and dry under his canopy. Raccoon asked, “‘Possum old friend, may I come in?’ / ‘What bad luck,’ Possum replied. ‘My den’s too small for one your size.’” Raccoon climbed down and with a “swish, plish” walked “all the way to Quail’s brambles.” As the wind whipped Raccoon’s scarf, he asked Quail if he could come in. But Quail said her brambles were formed too tight, and Raccoon was too wide to fit inside. Next, Raccoon swish, plished to Woodchuck’s hole. Dug into a hill near an old broken tree and lit by a small candle lamp, Woodchuck’s hole looked cozy. But when Raccoon asked his old friend if he could come in, Woodchuck said, “‘What bad luck. I’ve only room for one to hide.’” Raccoon went away sadly and “stood shaking in the rain. His umbrella blew inside out, His fur felt wet and spongy.” He really did not want to spend the night alone. There was one more house to try. Raccoon saw a light glowing in the distance. He hurried nearer and nearer and nearer. He knocked at the door and when Rabbit answered, Raccoon could see all of her little rabbits behind her as they “hopped and bopped to the raindrops.” Raccoon hesitantly asked his question then almost immediately took it back. After all, her house was so full. But Rabbit swung the door open wider. “‘What good luck,’ said Rabbit. ‘Come right in. There’s always room for a good friend.’” Rabbit gave Raccoon a comfortable chair to sit in and brought him a cup of tea. As the storm raged on, Raccoon hummed and smiled happily, smelling the aroma of carrot stew that filled Rabbit’s home. Soon, there was another knock on Rabbit’s door and three voices rang out: “‘being alone on a night like tonight is scary.’” When Rabbit opened the door this time, there stood Possum, Quail, and Woodchuck. The ten little rabbits just kept hopping and bobbing. From the very first page, young readers will be engrossed in Marsha Diane Arnold’s sweet story of a raccoon who’s looking for company and comfort on a stormy night. As Raccoon swish, plishes through his neighborhood, knocking on door after door only to be met by excuses for why he can’t come in, children will empathize with him and be cheered when Rabbit joyfully invites him in. Readers will understand that they are sometimes like Raccoon, needing a bit of help or support. They will also see that they can always be like Rabbit, offering kindness and inclusion. Arnold’s lyrical language and repeated phrases invite children to read along, offering another sense of camaraderie during story time. Jennie Poh’s Thistle Hollow is as cute as its name with cozy dens, brambles, and homes carved into hills and trees and adorable woodland neighbors. The lovely smoky blue-grays and dusky greens enhance the beautiful scenery as raindrops plink, plonk and the wind whips Raccoon’s scarf and umbrella. Alert readers may notice that a single owl watches Raccoon as he makes his way from Possum’s den to Quail’s brambles, but as he approaches Rabbit’s inviting home, a pair of birds snuggle against the wind in a hollow tree. Rabbit’s home is warm, snug, and relaxed as the ten bunnies hop and bop, enjoying some fun with their siblings and guests. May I Come In? would be a welcome addition to home, classroom, and school libraries to open discussions of kindness, inclusion, and helpfulness for children. The story could easily be adaptable to acting out for a classroom or children’s program to highlight the lesson of inclusion and make it more personal. You’re invited to download the May I Come In? Activity Pages here or from Sleeping Bear Press. To learn more about Jennie Poh, her books, and her art work, visit her blog. 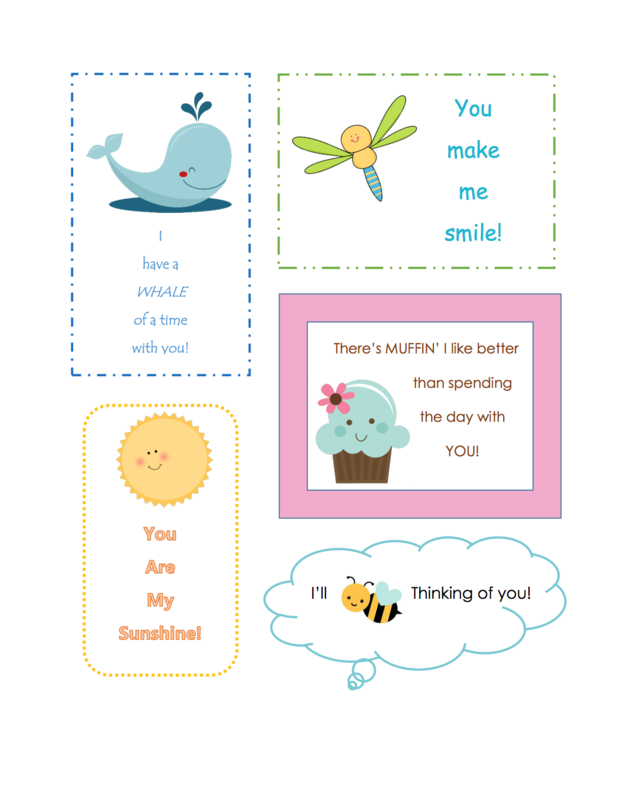 Here are some cheery cards that are sure to make the recipient’s day happier! Give them to a friend, a family member, your teacher, or your bus driver to show them that you care and that they mean a lot to you! 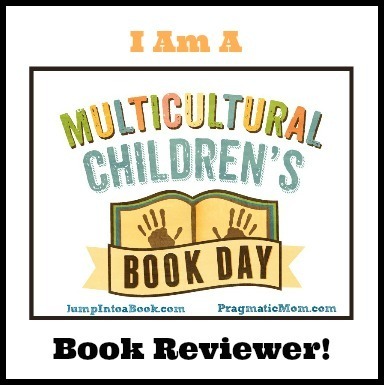 Today, I’m excited to talk with Marsha Diane Arnold about why the theme of kindness is important in the books children read, her real-life May I Come In? moment, and what makes life magical. Thank you, Celebrate Picture Books for inviting me to your blog. Random Acts of Kindness Day seems a perfect time to chat about my new book May I Come In? which demonstrates kindness in such a sweet way. What inspired you to write May I Come In?? There really was nothing specific that inspired the story. If anything did influence it, it was the wildlife that lived around my home in California. During the time I wrote May I Come In? I was working on a number of stories with woodland animal characters. With these stories, my characters led the way for me. One of the stories was Waiting for Snow with Badger and Hedgehog as characters. Another is Badger’s Seeds, which is coming out from Sleeping Bear Press in 2019. And then there’s May I Come In? with sweet Raccoon searching for a friend to spend a scary night with. Here are two of the animals that shared my McGregor hill home in California. The first may have inspired my May I Come In? Quail character. When Hurricane Irma hit Florida this fall, you experienced May I Come In? in a personal way. Can you talk about that a little? At the last minute, Hurricane Irma decided to come almost directly over our little town of Alva! In the photo below, it looks as if I’m inviting everyone into my house, just the way Rabbit did, but this was actually taken after the hurricane, as I was celebrating our house still standing. You may notice on the left that not all our trees did as well. Although our storm was indeed frightening, it was heart-warming to see all the people who opened their doors to friends, family, and strangers who had to be evacuated from their homes. My husband and I had fourteen people—family, acquaintances, strangers—and two dogs under our roof. We learned, like the characters in May I Come In?, that it was comforting to be with others during a frightening time and that including everyone added to the camaraderie. As a child you were surrounded by animals on your farm, you went on to help care for sick animals, and many of your books are written with animal characters. Do animals and their behavior inspire your writing? 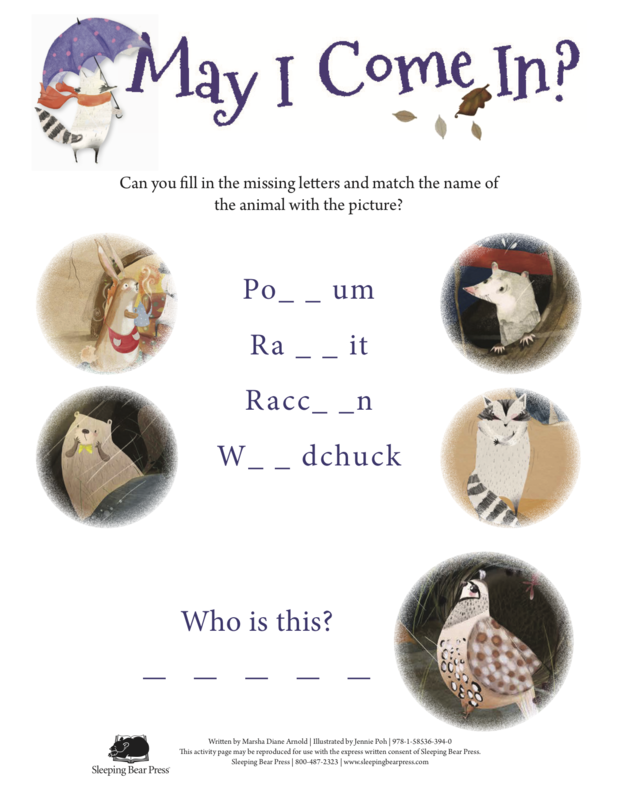 What animal qualities do you think resonate most with children? Animals have always inspired and fascinated me. I could spend hours watching them, just being with them. They calm me. They make me laugh. They make me cry. Animals must inspire my writing because I write about them so often in my books, from my first book Heart of a Tiger to my newest, May I Come In? Many animals have family groups and care for each other in similar ways to humans. Children understand and relate to this. In my two board books Baby Animals Take a Nap and Baby Animals Take a Bath my goal was to show very young children the similarities between animals and humans. We all nap. We all take baths. When I write using animal characters, I’m really writing about children with human qualities. It’s a type of metaphor. Using animals as characters often allows children to identify more easily with certain perspectives. What is something you love to do on a rainy day? When I was growing up in Kansas, I actually enjoyed the lightning and the thunder! Reading is always a lovely way to spend a rainy day. If there’s a warm fire to sit by, as in May I Come In? it’s even better. The theme of May I Come In? revolves around the idea of inclusion and kindness. Can you speak a little bit on why it’s important for children’s books to portray these ideals? What changes have you seen over the years in children’s receptivity to these qualities? Being inclusive is such an important quality, a foundation to living a kind and caring life. Because we humans are molded by our experiences when we are young, reading books that show inclusion and empathy are extremely important. Even with the changes in our culture and technology, I think children are as receptive to these qualities as ever. But it’s vital we model them to children from their birth, through the first seven “magical” years, and onward. Good books with good messages are one way to do this. One of the many things I love about May I Come In? is how each of Jennie Poh’s illustrations are so inviting, seeming to welcome the reader in. Your readers love meeting you at their school, in libraries, in bookstores, and even through Skype. Do you have an anecdote from an event that you’d like to share? I’ve had such fun over the years visiting schools. There are so many precious memories. I’m quite an introvert, so I’m grateful when schools invite me to visit their students. It gets me out of my shell; meeting my readers inspires me to keep writing for them. A wonderful memory is my being flown into a small town on the Kansas plains by the principal in his airplane! It was a long way from an airport. When I arrived at the school in the morning I was greeted by a huge tornado they’d constructed on top of their school, in honor of my book The Bravest of Us All. Inside the gymnasium was a smaller tornado, three students dressed as cows to celebrate Prancing, Dancing Lily, and so much more. A grand time. A recent memory involves Walter Jackson Elementary School in Alabama. They’ve been celebrating The Pumpkin Runner for about five years now with their Pumpkin Run Day, which is filled with pumpkin-related activities and a one-mile run for the entire school community, in honor of my book and the surprising ultra-marathoner Cliff Young. Two years ago, I was honored to be invited to join in the festivities by their amazing librarian, Todd McDonald. I spent one day doing presentations and another day playing games and running three miles! Yes, three, as they divided the students into three class groupings. Great educators! Great school! Great fun! You offer students writing workshops that you call “Funshops,” in which you present images, activities, and brainstorming to spark their imaginations and stories. Could you give an example of an image or activity that you use to fire up kids’ creativity? How do the kids react? Hmmm. Should I share my favorite? Since it’s Random Acts of Kindness Day, I will! The Alliteration Game is always a big hit with the students. In the Alliteration game, we take someone’s name and use lots of words that start with the same sound to make a fun sentence. First, we describe the person in a silly way. 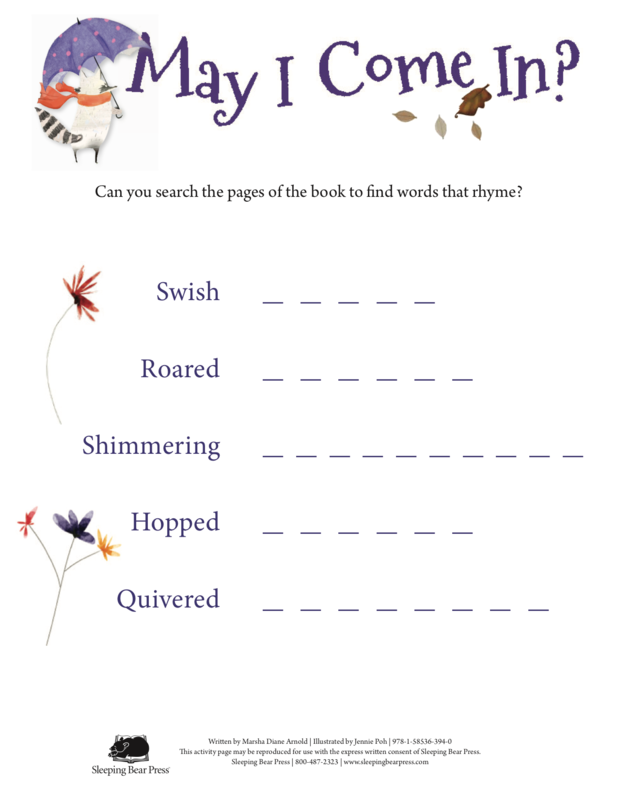 Then we think of an action word, a verb – like hopped or jumped. After that, depending on the age of students, we might use adverbs to describe how the person does the action – “joyfully jumped” or “happily hopped” – and choose a setting. What’s really fun is that students can then use these sentences as starting places for a funny fiction story. Here’s an example, using my name. Marsha, the magnificent moose, munched marshmallows in a museum in Manchuria. Your work has been called “magical” by reviewers, and you also use the word to describe your work, your home in California, and other experiences. What does “magical” mean to you? Where is magic found and what can it do? To me something “magical” is uplifting, something that takes us somewhere else for a moment. But magic can be found almost everywhere, if we open our eyes and ears. It can sneak up on us and take us by surprise or it can sit beside us and spread its arms around us. I found lots of magic at my home in California where I lived for 35 years – forests, good neighbors, barn owls. Now I’m finding magic in Florida – sandhill cranes, sunsets, ponies down the road. A journalist once called me “a magician of literary innovations.” I loved that. To me, the best stories have always been magical, taking us away from the house cleaning or the 9-5 job, for a bit of beauty and delight. So, I took the phrase and ran with it. I used it as the name of my blog Storymagician (inactive at the moment), and I created a Storymagician chant that I share with students when I visit schools. I think all of us can create and use stories to bring a little magic into our lives. At the moment, I’m doing final editing on my fall 2018 book, Gálapagos Girl with Lee & Low. This is a story inspired by Valentina Cruz who grew up in the Gálapagos Islands. Also in the fall Mine. Yours. will be out from Kids Can Press, a Canadian company. I’m so honored to be working with them as they usually only publish Canadian authors. Qin Leng is illustrating. I’ve seen some of the early sketches and am so looking forward to the final artwork. Her style is perfect for my story. Both of these books will be 40 pages long, my first ever 40-page long picture books. As many of you know, most picture books are 32 pages long. It’s interesting to me because Gálapagos Girl is a 500-plus-word story with an author note and back matter and Mine. Yours. is only 25 words! Yet, both editors felt the stories deserved 40 pages. Another first for me is that Gálapagos Girl is going to be a bilingual book. So much to look forward too! What holiday do you enjoy most? I love decorating the house for Christmas – all the lights! I really enjoy Halloween and Easter too. We rarely had candy in our house when my children were young, so trick-or-treating was a big deal. They always made their own costumes, with whatever they could find around the house. There were some pretty interesting ones! Easter was wondrous. When my children were small we would cut a small branch from one of the manzanita trees in our little forest and bring it into the house to decorate with Easter eggs and treasured objects. We always looked for the Easter bunny in the field behind our house, where many rabbits lived. We spotted him several times over the years. Then there’s Valentine’s Day, the day we just celebrated. I love the red and pink! When my children were young, we always designed and made our own Valentine’s cards. It’s fitting I’m sharing about May I Come In? during Valentine’s week as both are about holding others close, including them in our hearts and our lives. Has a holiday ever influenced your writing? I’ve never really written a story about a holiday, but there’s a Halloween story I started over ten years ago that I never finished. Yet, it keeps tapping me on the shoulder. I plan to take another look at it next month. Writers often return to work that’s been collecting dust for years in the hope that this time new ideas will come to them and the story will be completed and ready for the world. Where can readers find out more about you, your books, and your school visits? My website is being updated, but you can find out about all those things at www.marshadianearnold.com. And if you want to learn how to follow your characters through a story, as I mentioned in the first question, you may check out my Writing Wonderful Character-Driven Picture Books at http://www.childrensbookacademy.com/writing-character-driven-stories.html. Now, let’s all go out and do a random act of kindness! Thanks, Marsha, for chatting with me today! I wish you all the best with May I Come In? and all of your books! Marsha Diane Arnold will be reading and signing books at MacIntosh Books in March. If you live or will be near Sanibel Island, check out their event calendar for March to attend an event with Marsha Diane Arnold! We’re surrounded by noise every day. Cars whoosh by on the street, TVs drone on, and voices fill the air in the office and at school. Sometimes it seems as if you don’t hear the constant din, but you do. Quiet Day was established to give people an opportunity to experience the benefits found in silence. Not only did the founders envision a day in which you sought out quiet places, they suggest that you don’t speak at all for the day. Reconnecting with yourself and your thoughts can make you feel more relaxed and give you new perspectives that can stimulate creativity and better communications. 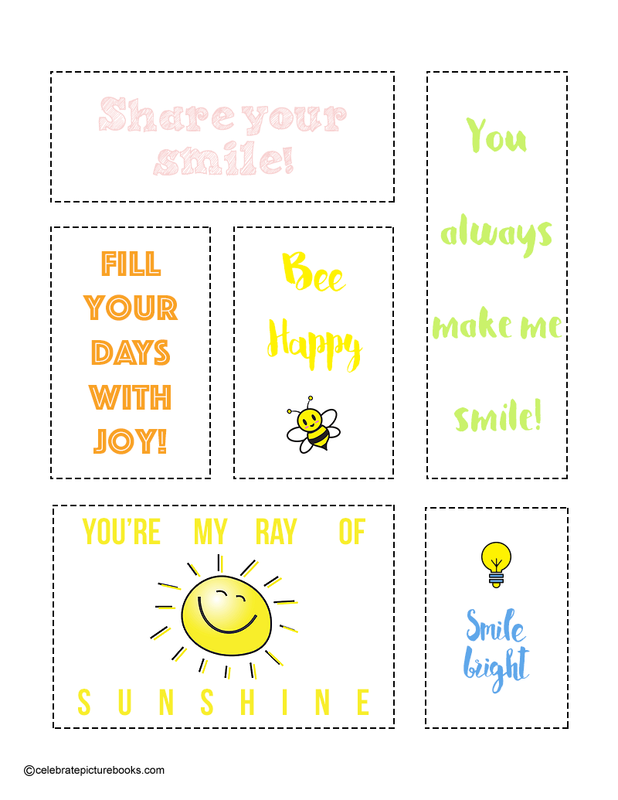 If you’re taking a quiet day, but still want to communicate with others, print these Share a Smile Cards and give them to your friends, family, and others. Why not slip one into your dad’s pocket or your mom’s purse, put one in your friend’s backpack, or sneak one onto your teacher’s desk? You can even leave one somewhere for a stranger to find! Have fun sharing your smiles, and see how much better you and the others around you feel! On July 20, 1969, Americans Neil Armstrong and Buzz Aldrin landed the lunar module Eagle on the moon’s surface. With one small step for a man, one giant leap for mankind, Armstrong became the first person to step foot on the moon. Today’s holiday dates back to that Apollo 11 spaceflight and honors the phenomenal achievement of leaving earth to explore the universe around us. We also celebrate Moon Day today in commemoration of the first lunar landing. There are many ways to remember this moment in history that captured the imagination of millions and still resonates today. Why not go moon and star gazing, set off model rockets, enjoy a sci-fi movie or book, or throw a moon-themed party? Today, I’m happy to welcome a guest reviewer—Nick Alexander! Hi there! I’m so glad I could participate in reviewing this book. I’m Nick, a space-obsessed environmental science and geology major from Connecticut College who adores anything related to exploring the universe! I developed my love of space at an early age, and it’s inspired me to always think scientifically about the world around me. I’m a big fan of sci-fi, and I love classic science fiction novels. I love to write, read, and create things as well as come up with new ideas to research. I still hold on to my childhood ambition of becoming an astronaut, and I hope to one day get out into space and explore the cosmos! The Darkest Dark is a story of many lessons, trials, and triumphs. The book focuses on a little boy named Chris as he discovers the best way to deal with his fear of the dark, a phobia that many children experience. Chris is a boy who dreams of outer space and aviation and longs to one day touch the stars like his heroes. However, there is one problem; Chris is terrified of the “aliens” that lurk in the dark, especially in his bedroom after the lights are turned off. He is so afraid that he can’t sleep through the night in his own bed. Image copyright The Fan Brothers, 2016. Courtesy of Little Brown Books for Young Readers. Through a journey of trial and error, with the support of his parents, and by watching the 1969 moon landing (which just had its 48th anniversary on the publication of this review), he overcomes his fear and pursues his dreams of becoming an astronaut. This wonderfully charming book explores many a small child’s fear—the dark—and reveals that there is far more to the dark than may meet the eye. Chris Hadfield, ISS commander and renowned Canadian astronaut, was very particular in the way he wrote the story, as it explores elements of his own childhood and ties into his own life. The fear of the dark—achluophobia or nyctophobia—is an incredibly common fear that many children deal with at some point in their life. By exploring this phobia, Hadfield channeled his fear into something that he later dedicates his life to. He uses his story to empower the reader and make them feel that even with fears, one can still accomplish anything. Terry and Eric Fan use a great series of techniques to help the reader understand what Chris is scared of, which also helps the reader learn to not be afraid of what’s around them. In the beginning of the book, the illustrators create an environment that gets the reader more accustomed to the idea of darkness and shows how it actually contains many possibilities and endless new questions to be answered. In a way, this atmosphere almost changes the reader’s view of what darkness really means, as it’s presented differently throughout the progression of the book. The illustrations, from the perspective of a space geek, are also rather accurate as well, showing the footage of the Apollo 11 landing and shots of the International Space Station in orbit! As a self-proclaimed space expert, I’m delighted to get the chance to review this wonderful book. Growing up, my fear of the dark often got in the way of being more confident about myself, and to see that people I admire went through something similar really means a lot. As someone who eventually wants to go to space and explore the unknown, maybe it means I’m on the right path. As we continue to move forward, we must keep our eyes turned skywards, and we must continue to come up with inspiring stories like this, to encourage the next generation. A note about Chris Hadfield and his life and work follows the text. For kids who love space exploration or who are struggling with overcoming fears, The Darkest Dark is an inspirational read that would be welcome on home bookshelves and a wonderful resource in school, classroom, and public libraries. You can learn more about Chris Hadfield and his events, music, and videos as well as view a gallery of aerial photographs on his official website! Discover a portfolio of illustration work by Terry and Eric Fan on their website! Blast off to The Darkest Dark with this book trailer! If you have a little space lover in your family, they may like keeping track of the phases of the moon with their own chalkboard! This craft is easy and fun to do together and will make a cool wall decoration for any child’s room. With the chalk or paint, fill in the center circle completely to make the full moon. You can follow the phases of the moon through each month by adding the dates that correspond to each phase and erasing and changing them as the weeks progress.